I really really love to learn and share knowledge with colleagues, entrepreneurs, makers, startups and companies into technology field. And Disrupt is the perfect event. That’s why I attended this event in San Francisco, California. 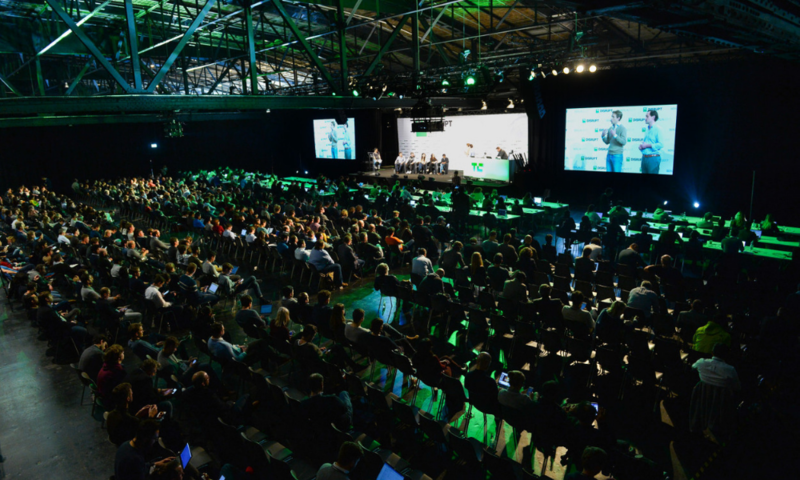 TechCrunch Disrupt is an annual tech conference hosted by TechCrunch in San Francisco, New York City, and Europe (London or Berlin), with one 2011 conference held in Beijing. 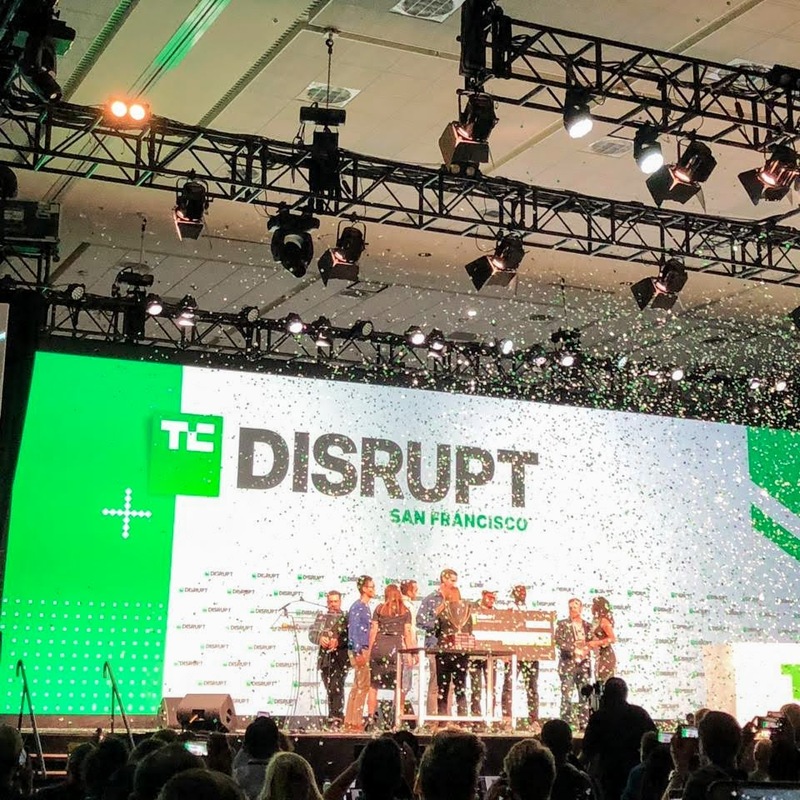 TechCrunch Disrupt hosts an event called Startup Battlefield at its conferences where startups sign up to pitch their business ideas on a stage in front of venture capital investors, media and other interested parties for prize money and publicity. Past participants include Dropbox, Uber, Beam, Coinbase, Trello, Mint, Yammer, and others. So, in this post I will share with you what I learned, impressions from my point of view (and phone camera). Hope you can enjoy (and learn) as much I did. Lesson #1: Other places are emerging as the next Silicon Valley. This is not a new topic actually. There are some emerging cities not just in USA but around the world that are doing a great work putting together entrepreneurship, technology and investors. Silicon Valley is not about money and technology, it’s about entrepreneurship mindset. BTW, Guadalajara and San Jose are cities where 4Geeks has offices. Lesson #2: Innovation is at the heart of entrepreneurs. Every hall during the event, I found absolutely brilliant people and with a lot of passion for what they do. The innovation is completely in your DNA, which allows you to find solutions to day-to-day problems. Definitely entrepreneurs around the world are called to a simple thing: solve problems. And if you think about it, the solutions that humanity enjoys today in the field of electricity, transport, communication, have been thanks to those entrepreneurial minds that never stay still until they find a solution. This makes us advance as humans on this planet. If you are not familiar with the term, Artificial Intelligence (AI) is the set of many advances in the field of information technology, which allows us to use the brain of machines to make decisions. These machines learn with every interaction, similar to humans. So if we take this concept to startups, we find solutions such as systems that predict natural disasters, chatbots for customer service, find less congested routes in the city, book a flight, etc. The ability of AI today is immeasurable. 2017 and 2018 were years of introduction to this type of technologies, where the big players like Google, Microsoft, Apple and HubSpot integrated AI to the majority of their products. Some startups also started to create smart products based on Machine Learning. 2019 will be a year where we will see even more cases of AI success in society. 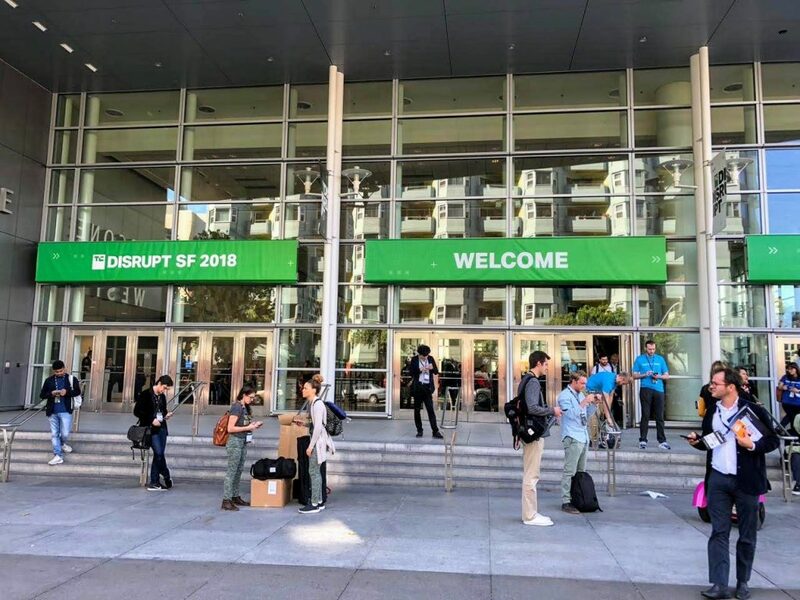 The main investors of Silicon Valley and New York were in Disrupt SF 2018; they sought to meet the best entrepreneurs and products in the room. For years we have believed that for an investor the product and the ROI is important. Yes it is, but the personality, passion and experience of the team behind the product is much more important. Ideas are worth 0, people have no price. Investors are looking for a team to trust, honest, to know how to execute ideas as quickly as possible. Why? Because an idea may not be successful, but the resilience of the team will pivot it until it finds a correct path. So, if you’re in the stage of discovering your partners, take your time. By now you should recognize the importance of meeting new people and connecting with them. This is the main reason for the TechCrunch Disrupt SF event. If you have the interest and disposition, in less than 10 hours you can find your future partner, client or supplier. How to achieve it? By asking. If you ask the right questions to the right people, you can change your own future. Did you attend this event? Liked it? Please use the comments section below to share what you think about this kind of events. What’s your favorite tech/business events?